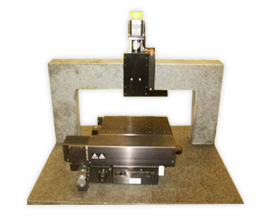 Gantry stage platforms designed to meet a wide range of high speed and precision applications. Kensington’s gantry stage platforms provide superior performance and flexibility with highly customizable/configurable precision motion control packages. Designs can be modified to meet acceleration, velocity, and travel range requirements with high precision performance. Integration with Kensington’s full stage product line. 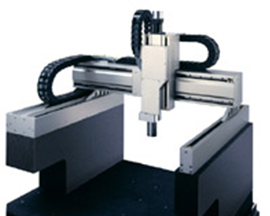 Contact Kensington today for technical details and to obtain a quotation for precision motion control Gantry Stage Systems.